I hope everyone had a nice long Thanksgiving weekend. 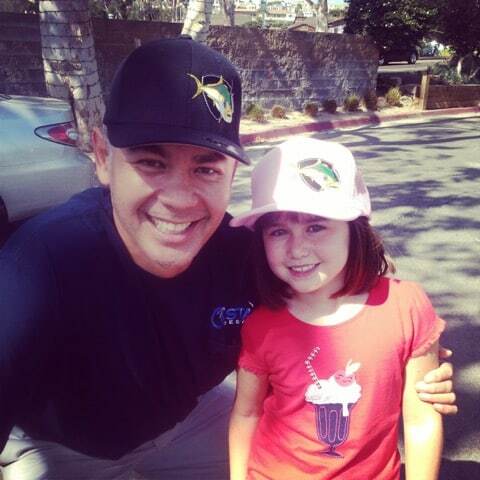 Hopefully, some of you enjoyed some fresh tuna, lobster or other SoCal seafood delicacies! 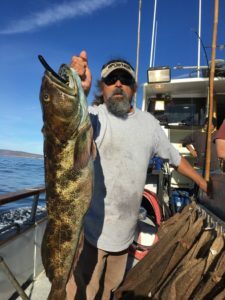 After Thursday’s food fest, I headed up to Oxnard on Friday for an overnight trip aboard the Pacific Islander out of Channel Islands Sportfishing. The occasion was the 5th annual So Cal Salty Ling-a-palooza trip, sponsored by Lingcodjigs.com. 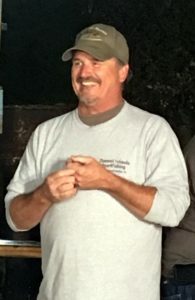 Owner/operator Capt. Steve Virtue (right) is who taught me how to target lingcod using big swimbaits. Since learning how, my enjoyment level on these trips has leveled up far beyond how most people perceive rockfishing. This annual trip has served to introduce friends and readers to this style of fishing. 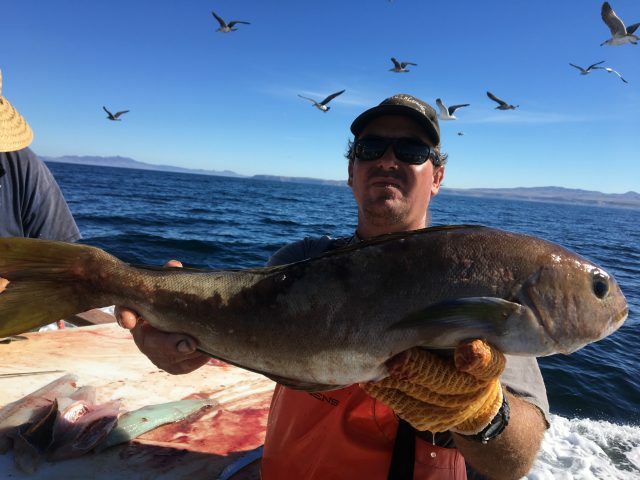 Many anglers who have joined me caught their first lingcod on this trip and changed their mind on how fun rockfishing can be. This year had a bit of a twist as the opportunity for yellowtail was part of the program. We departed CISCO’s around 10pm after Captain Steve gave his trip briefing. He said we’d head out to Santa Cruz Island to try and make squid. From there we’d proceed out to Santa Rosa and commence fishing in the pre-dawn hours for deep-dropper yellowtail. Around 2am, we stopped at Cruz to make squid. There were some squid boats out there already. We gave it a go and made a little squid. The current was ripping though and it wasn’t productive. They had fresh dead frozen for backup so we proceeded on. Around 5:30am we were in the zone off the lee side of Santa Rosa Island. The boat dropped the pick and we dropped in our lines after settling in. More current! It was deceiving how calm it appeared to be on top, while it ripped below. Twelve ounces wasn’t cutting it. I didn’t bring a 16, so I opted for breakfast. There was a brief thrill when angler Dan Rugg got picked up by a sevengill shark, but that was it. We moved on. Next stop would be a normal rockfish drift. I was excited to work one of Jesse’s (of Lingcodjigs.com) new offerings, a blade type jig in glow with a squid skirt (8oz.). Given the current, a long cast against the drift should’ve worked great. As it turned out, not much drift…almost zero wind and current. In terms of artificials…flatfalls and swimbaits with lighter leadheads were working. Bait fishing with live sardine and the fresh dead squid was working best though. Gino (left) ended up taking jackpot with a ling that I estimated to be a mid-high teen fish. He doubled on that drop with an equally impressive red rockfish. My friend Ron Briggs had a double legal ling combo during that same drift with 2 followers! It was pretty great for the most of the rest of the morning. When that spot petered out, it looked too good (top) not to cross the channel (Channel Islands California) over to San Miguel Island…westernmost island in the chain. San Miguel is famous for big lings, but the most impressive part of the fishing there this weekend was monster whitefish. The quantity and quality was the best I have ever seen. Deck boss, Bryan Duncan (below), displays a representative sample. The whitefish bounty pushed a lot of bags to the full 20 fish limit. We were mostly done at that point and started to head toward home along the front side of Rosa. Along the way, we were treated to a whale watching show with some very active humpbacks. What a way to top off the trip. My friend Kelly Castaneda thanked me for a really fun trip. “It was so relaxing. No pressure.” Exactly.